NHL Misses Net in New Campaign - Where's Social Media? 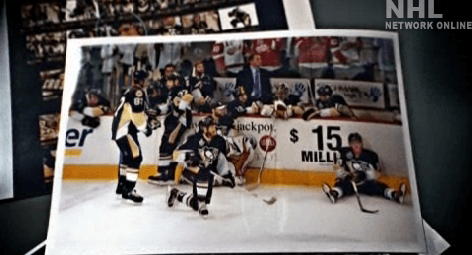 NHL Misses Net in New Campaign – Where’s Social Media? The National Hockey League has rolled out a series of compelling TV spots featuring some of the game’s biggest stars. And while the new commercials – with a theme of “Is This The Year?” will run nationally on Canadian broadcast and U.S. cable television, like so many campaigns, it’s being forced to go it alone. Instead of launching an integrated effort, it appears that this is a TV-only exercise (created in-house by the NHL with creative consulting from Y&R). – A search for “NHL” on Google finds no mention of the campaign in either paid or organic listing. – The official NHL Facebook page doesn’t mention the campaign, and doesn’t link to the ads. – The spots are not on YouTube (although they are on the NHL.com site). – The ads are not specifically touted even on the Web sites of the featured players’ teams. If there’s one sports league that could and should capitalize on social media marketing, it’s the NHL. It’s downright cultish, and very few people are ambivalent toward it. So many easy social media programs could be launched. Contests to make your own “Is This The Year?” commercial. Contests to describe why this is indeed the year for your team. Guest blog posts from the players in the commercials. Uploading the spots to YouTube, including a “Making Of” video that shows how the innovative commercials were produced. Linking the spots from players’ Facebook pages. And in the digital marketing realm, campaign elements might include: buying banner ads that include the commercials using rich media, video ads on Hulu.com and other sites, buying PPC ads that link to the spots, and having each team email links to the commercials to their season ticket holders. The geo-targeted possibilities are enormous, because the NHL actually cut 2 local versions (featuring local stars) for every team in the league, and these spots will roll out soon after the national effort launches. It’s amazing that the NHL would create what appears to be something like 70 TV commercials, and not back them up with anything in the digital marketing or social media marketing universe except for putting them on their own site. Do you agree, or am I being too hard on the ice gang? Other examples of missed social media opportunities?